"#NZvPAK " was a trending topic in India at rank 10 for duration 2h:25m . Another inspection at 5:30pm (9:30am PST) ???? OH GOD WHY? ???? 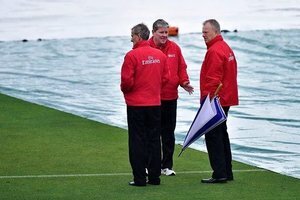 Napier Mai Barish Ruk Gaie, Umpires Ground Ka Jaieza Pakistani Waqt K Mutabiq 9:26 am Py Ly Ga. Rain delays start of #NZvPAK 2nd ODI! Inspection pa inspection inspection pa inspection ma tang agya hn. "#NZvPAK " was a trending topic in India at rank 10 for duration 2h:25m . Check goo.gl/GSXf7w to know why?